Yahoo had announced a couple of hours before to all the MyBlogLog users that the service will be shut down in May, i.e exactly 3 months from now. Yahoo discontinuing MyBlogLog comes as a no big surprise, since the rumors of it closing down were doing rounds since last year only. It should only come as a bad news for the few ones that are still using the service (if any). We will officially discontinue Yahoo! MyBlogLog effective May 24, 2011. Your agreement with Yahoo!, to the extent that it applies to the Yahoo! MyBlogLog, will terminate on May 24, 2011. After May 24, 2011 your credit card will no longer be charged for premium services on MyBlogLog. We will refund you the unused portion of your subscription, if any. The refund will appear as a credit via the billing method we have on file for you. To make sure that your billing information is correct and up to date, visit https://billing.yahoo.com. 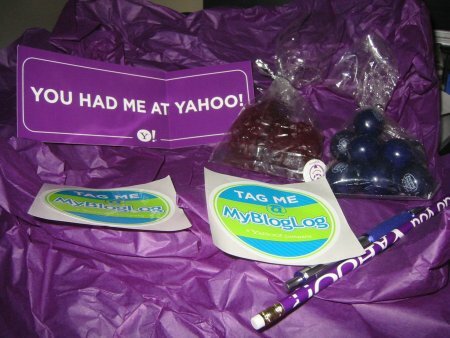 Once popular, MyBlogLog service from Yahoo enabled users to track the visitors to their blog and build a community around it. The numbers are still not clear as to how many users will be affected by it, but we are pretty sure that it won’t raise any eyebrows since the service was almost dead by last year only. Today we have similar but better alternatives to the service like Google Friend Connect, or even Twitter or Facebook, who offer the same kind of widgets and have huge number of users to back them up. Yahoo had acquired MyBlogLog for $10 million in 2007. But as with many of such acquisitions, Yahoo never did anything worth notice with it.